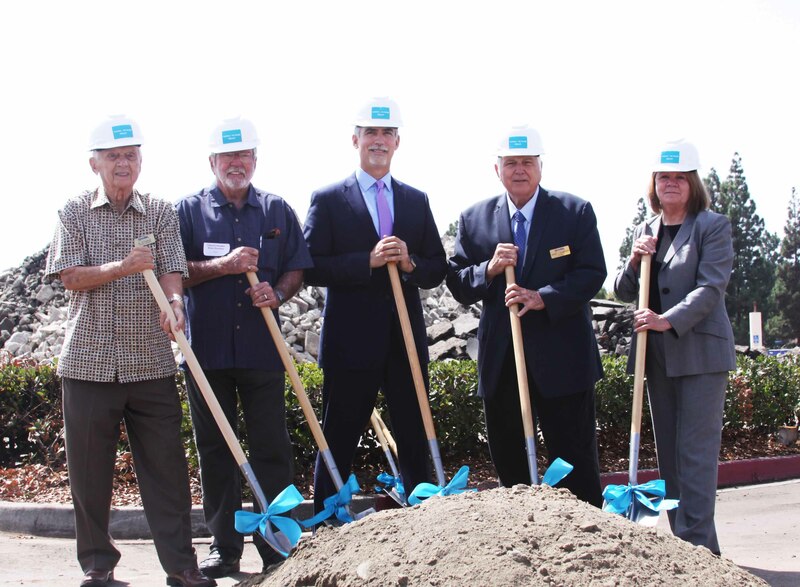 GROUNDBREAKING ceremonies were held Thursday for the new Village Center project at Beach and Garden Grove boulevards. Groundbreaking ceremonies were held for two major developments on Thursday, one in Garden Grove-Stanton and the other in Westminster. The Village Center project is located on the west side of Beach Boulevard north of Garden Grove Boulevard, straddling the city limits of Garden Grove and Stanton. It will cover nearly 22 acres and will be a mixed-use development with a new retail center and 208 condominiums. The housing component, located in the northern part of the site – entirely in Stanton – will include a mix of two- and three-story condos. The commercial area will be to the south, split between the two cities. Already committed to that portion are In-N-Out Burger, Raising Cane’s (chicken fingers), Panda Express, Chase Bank and Planet Fitness. Connecting the commercial and residential parts will be a green belt. Brookfield Homes and Frontier Real Estate are the primary partners in development. In Westminster, a 1.8 acre-site at 14041, 14051 and 14061 Locust St. is slated for transformation into the Greenfield Apartments with 50 rental units, including an affordable housing component. The Spanish Colonial-themed project will consist of one-, two- and three-bedroom apartments ranging in size from 773 to 1,288 square feet with five floor plans. Each apartment will have either a balcony or patio. In the complex will be a main courtyard including playground equipment, BBQ grills and a grassy play area, as well as a “more tranquil” secondary courtyard. Faircrest Real Estate LLC is the developer. GREENFIELD APARTMENTS planned for Locust Street in Westminster near Sigler Park.